Colin Priest is a London-based artist operating within the fields of art, architecture, scenography and film. With a background in architecture, site-specific works combine intervention; sculpture, moving-image, writing and performance to reveal overlooked heritage narratives through various forms of public encounter. He recently exhibited a film and text work around white weeding and its communities, The Dance of the Neptune Plant in the library lecture hall for Whitstable Biennale 2014. 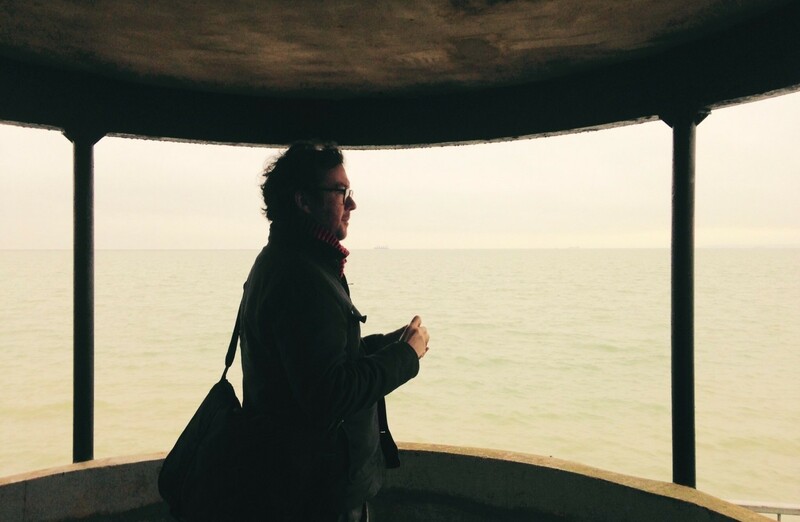 Colin has been at Chalkwell Hall in December 2015 as Metal’s artist in residence developing a new work, Waiting Rakes (working title) for Metal’s large-scale Estuary festival in September 2016. Finding traces of white weeding alongside a lot of walking from Labworth Café to Shoeburyness to Tilbury to Cliffs Pavilion and much in between with local photographer Simon Fowler; words and textures begin to float. If you have any stories around white weeding in the estuary – please do get in touch with Colin via his website.